Dr. Moore is an applied linguist and a linguistic anthropologist. Her research examines the social and cultural patterning of language and literacy development in communities whose members use multiple languages and participate in multiple schooling traditions. At UCLA she earned a doctorate in Applied Linguistics and an MA in Teaching English as a Second Language. In between graduate degrees she was a visiting scholar in African Languages & Linguistics at Leiden University. After her graduate studies she took up a postdoctoral fellowship in the National Science Foundation Center for Informal Learning and Schools at UC Santa Cruz. Dr. Moore specializes in language socialization research, an ethnographic and interactional discourse analytic approach to the study of human development and learning. She has worked in northern Cameroon since 1992 and has worked in the Somali community in Columbus since coming to OSU. 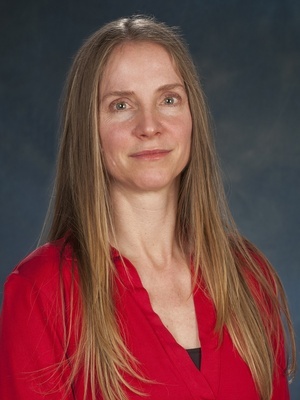 Her research has been funded by the National Science Foundation, the Ford Foundation, the Spencer Foundation, and Fulbright, and Dr. Moore has recently completed her work as the Principle Investigator on an Ohio Humanities Council/National Endowment for the Humanities Major Grant for K-12 Education. She serves on the steering committee for the Buckeye Language Network, the executive committee for Literacy Studies@OSU and the advisory board of OSU's Center for African Studies. Her work has appeared in anthropological, linguistic, educational research, and interdisciplinary journals and reference works, includingText & Talk, Social Analysis, Language Arts, Language & Communication, Studies in African Linguistics, The Handbook of Language Socialization, The Anthropology of Learning in Childhood, and The Encyclopedia of Language and Education.